CCSEM’s Adult Day Health Services receives funding from the Area Agency on Aging 1B, client fees, and individual and corporate donations. Our Senior Volunteer Programs are funded by the Corporation for National and Community Services and the Office of Services to the Aging. CCSEM Adult Day Center in Oakland County has offered services to vulnerable seniors and their caregivers since 1983, the longest running program of its kind in the county. CCSEM in Macomb County has provided adult day services since 1984. 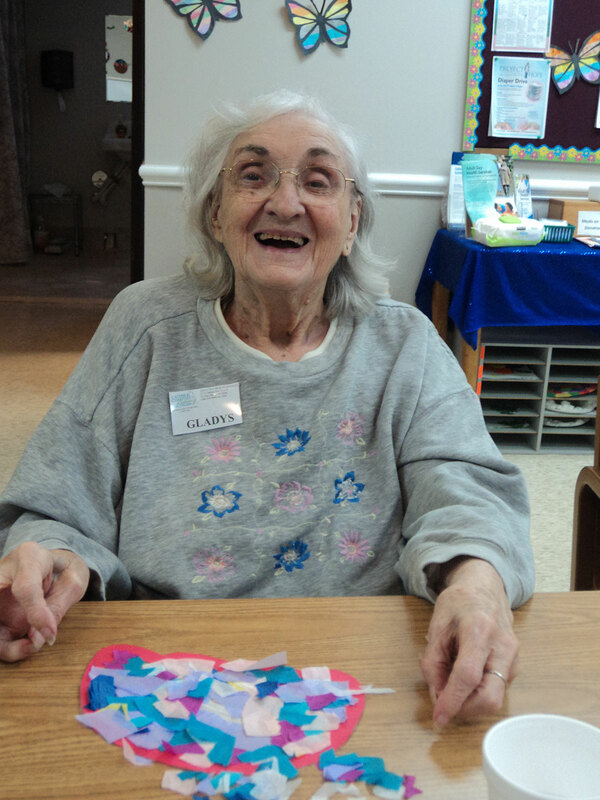 Since 1983, CCSEM has provided supervised daytime care and activities for adults who are forgetful, confused, or physically frail and need loving, supervised assistance during the day. 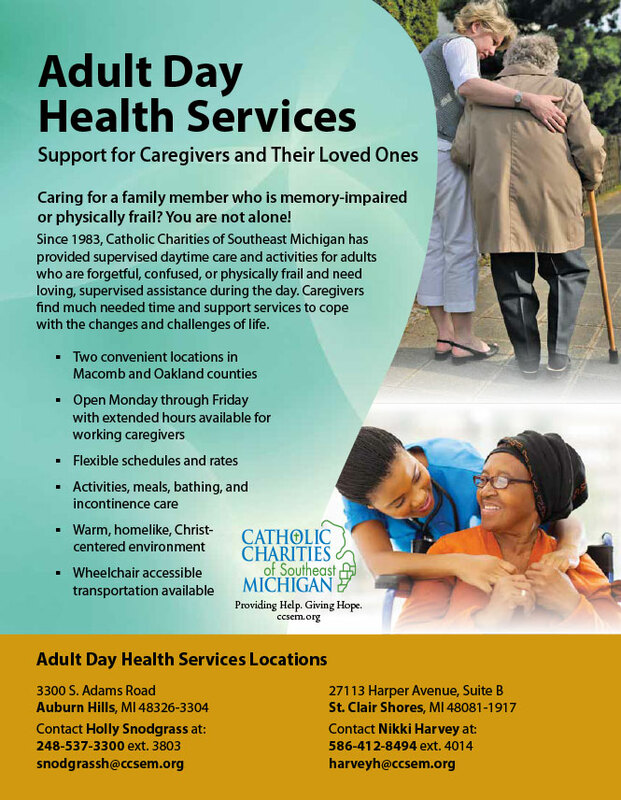 Caregivers find much needed time and support services to cope with the changes and challenges of life.Two convenient locations are available in Oakland and Macomb counties, open Monday through Friday with extended hours available for working caregivers. Contact Holly Snodgrass at 248-537-3300 ext. 3803 or snodgrassh@ccsem.org. Contact Nikki Harvey at 586-412-8494 ext. 4014 or harveyh@ccsem.org. Transportation assistance for both locations is available for within a 15-mile radius. Our services allow caregivers to work, go to school, run chores, or take a well-deserved break! CCSEM provides individualized care for clients, making sure their interests are considered in daily activity planning.